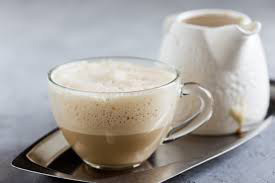 With so many different latte recipes out there, why do you keep drinking the same one every single day? 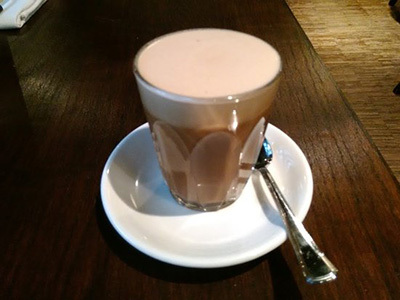 While you may think that choosing a different latte recipe may be difficult or that you don’t have a lot of options, the truth is that you do. 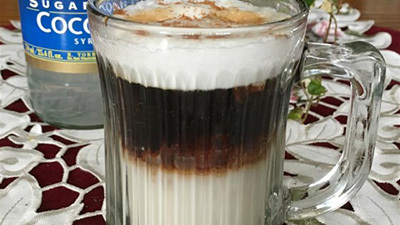 And there are some amazing and delicious latte recipes that are also easy to prepare. Discover the how to make the perfect cup of coffee every single morning. 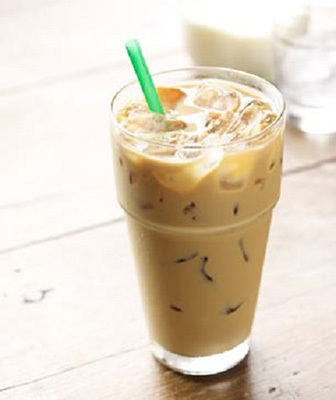 So, why don’t you try out one of the following latte recipes today? We assure you that you are going to love these latte recipes. 1. Pour the milk into a pitcher and heat it using the steaming wand. You should heat it to 145º – 165ºF (65º – 70ºC). 2. In a large coffee mug, put the vanilla flavored syrup. 4. Add the espresso to the mug with the vanilla syrup. 5. Finally, pour the steamed milk into the mug. Please make sure that you hold back the foam with a spoon. 6. Put the foam on top of the latte. Serve. 1. In a coffee mug, add the gingerbread flavored syrup with the espresso coffee. Stir them well. 2. Pour in the steamed milk and stir. 3. 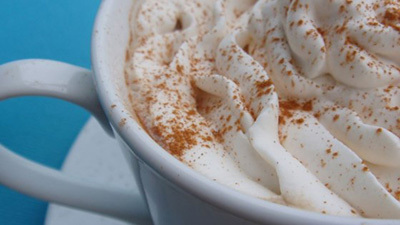 Top the latte with the whipped cream and then sprinkle it with the vanilla powder, the cinnamon, and the nutmeg. Serve. Take a look at the top semi automatic espresso machines. 1. In a small mug, combine the half-and-half with the brown sugar until dissolved. 2. Whip using a small whisk or a milk frother. 3. Pour the espresso coffee into the mug and then add the caramel sauce. Stir until it is dissolved. 4. Finally, pour the frothed half-and-half into the coffee. Serve. 1. In a mug, stir the coconut syrup and the espresso. 2. In a saucepan, heat the milk for about 5 minutes, just until when it is starting to boil. 3. Stir the milk into the mug where you have the coffee and the syrup. 4. On top of the latte, put the cinnamon, sprinkled. 1. Put the milk and the cream in a saucepan and put in on low-medium. Whisk it until it is hot and frothy. 2. Remove the saucepan from the heat. 3. Add the sugar and the vanilla extract to the saucepan and stir. 4. 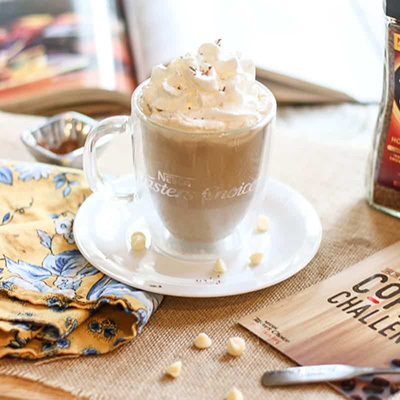 In a mug, whisk the hot espresso with the white chocolate chips until it is smooth. 5. Top the mug with the frothy hot milk and stir. If you are like us, you love coffee. 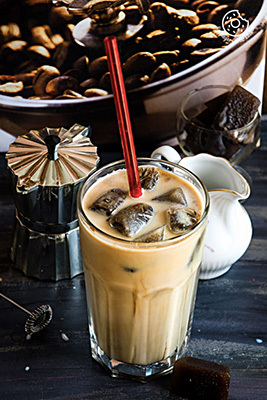 So, no matter if it is instant or not, you also like to try out different coffee recipes. After all, this is what attract us all to Starbucks. However, you can now make your own mocha recipes at the comfort of your home. Lear how to make the best coffee. We bet that you can already picture yourself sitting in your backyard and drinking a tasty mocha. 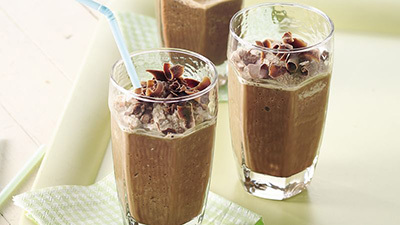 As you probably know, there are many different mocha recipes. 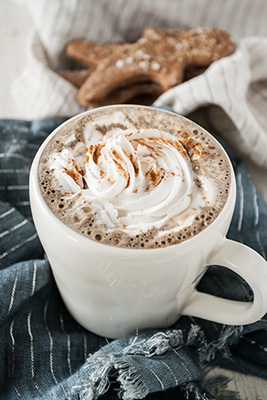 While it all depends on your personal preferences, we decided to share with you the best 4 mocha recipes that we have ever tried. And the best part is that they are easy to make, fast, and, above all, they are absolutely delicious. 1. Get a coffee mug or a large coffee cup and add the instant coffee and the water. 2. Put the cup or the mug in the microwave until the coffee is well heated. 3. Stir the coffee and put the cup or the mug in the fridge for about 30 minutes. 4. Get the chilled cup or mug out of the fridge and add the half-and-half cream, the chocolate syrup, and the packets of Splenda. 5. Put the content in a tall beverage glass and add ice cubes. Make sure that the poured coffee covers the ice. 6. You can top the iced mocha coffee with Cool Whip if you want. 1. Put all the ingredients in a blender and process them until it is smooth. 2. Pour the content into chilled glasses. 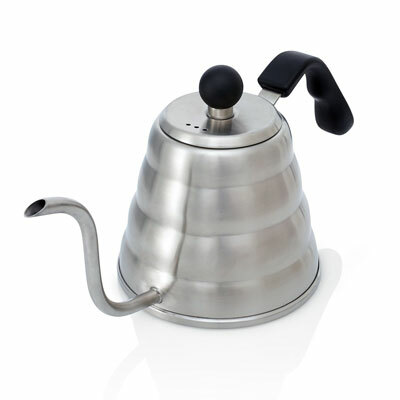 Take a look at the best single serve coffee makers. 1. Add the sugar and the instant coffee to the cup of boiling water and stir well until everything is dissolved. 2. Add the chocolate syrup and then the vanilla extract and stir well again until they are incorporated. 3. Finally, add the milk and stir again. 4. 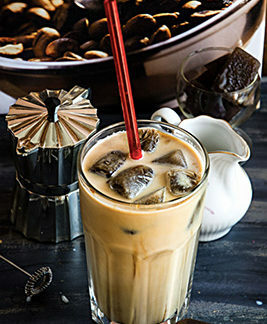 Put the ice cubes on the cup or mug you are going to use and pour the mocha over the ice cubes. 1. Put a small saucepan on medium-low heat. Add the instant coffee, the cocoa powder, the almond milk, and the sugar. Whisk all the ingredients well until heated or for about 2 to 3 minutes. 2. Pour the content into a coffee mug. 3. Top with chocolate sauce or whipped cream at your own taste.